Click on image to hear interview. Ikahba reasons with Ireggae about his life's journeys and the long road that has led him to singing reggae music and the livity of Rastafari. 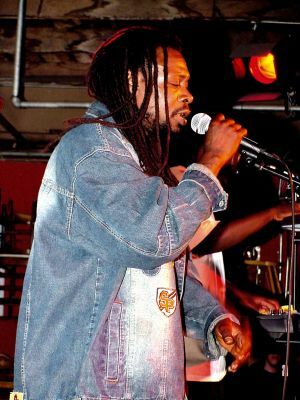 He also speaks of all the musical talent emerging from St. Croix and the very first time he held the microphone in front of an audience. Ikahba discusses his very first appearance in California along with fellow St. Croix artist Dezarie. Ikahba also talks about the songs which appear on the Eastbound and Homegrown compilations under the name Ika Melody. 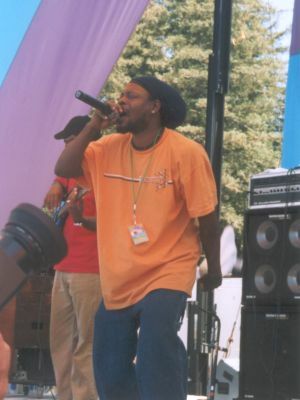 He also speaks of how he linked up with Midnite to record dozens and dozens of songs, several of which appear on his debut album "Troddin To Zion" as well as the numerous new projects he is currently working on.